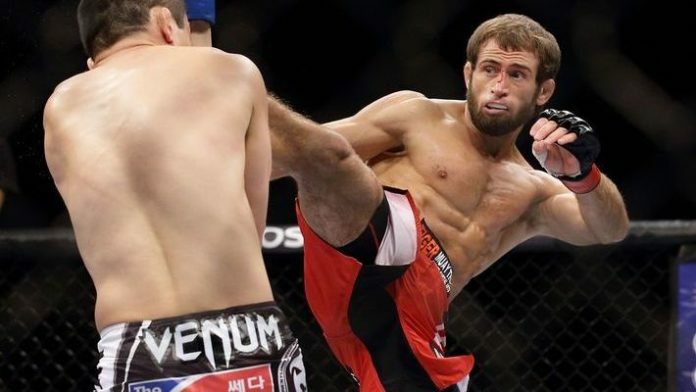 Mairbek Taisumov has been hit by the U.S. Anti-Doping Agency (USADA) with a suspension, but it isn’t doom and gloom. The Ultimate Fighting Championship (UFC) lightweight tested positive for stanozolol metabolites stemming from a Sept. 15 urine sample at a UFC event in Moscow. USADA has determined that Taisumov’s failed test is due to contaminated supplements. “USADA announced today that Mairbek Taisumov, of Vienna, Austria, has accepted a six-month sanction for a violation of the UFC® Anti-Doping Policy after testing positive for a prohibited substance. Since Taisumov’s suspension began on Oct. 8, he became eligible to compete again on April 8. Taisumov is currently riding a six-fight winning streak and his last victory over Desmond Green was not overturned.